The first step in the receipt (recipe) for Mrs. Maria Rundell’s Cheesecakes is to strain the whey from the curd of two quarts of milk. Something that every housewife would know how to do in the early 19th century without direction. The two quarts of milk were brought to blood-warm temperature and a very small amount of rennet added to form a large curd. 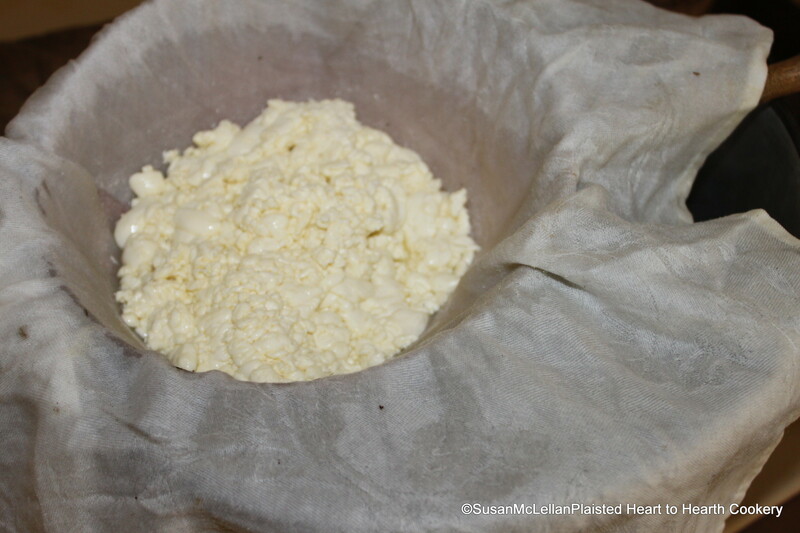 When the large curd was cut, it was heated in the whey and then the whey was strained from the curd.